Rudi, Mark Rudiger, passed away today. We sailed over 10,000 miles together. Rudi always knows the best and fastest way to sail “all the way”. Many of us learned most of what we know, from Rudi. 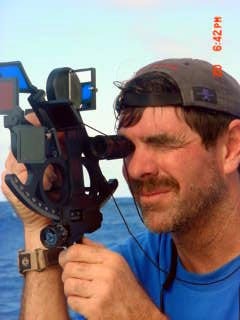 I learned celestial navigation, current, waves from Rudi and just the simple magic of being out there, offshore. Rudi, I know that you are safe and fast wherever you’re sailing. Until we meet again, surfing down a wave, or riding down the snow, I’ll be missing you. This Pacific Cup ride is for you Rudi, Lori and Zayle. Be in peace. Sail fast.